Moving to Adelaide - Compare International Movers & Save up to 70% ! International Moving to Adelaide, Australia means you are arranging an overseas move. An overseas move might not be so easy to organize. 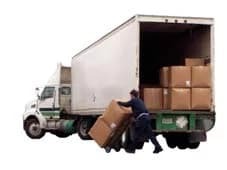 First you have to figure out your way of transporting your goods, and what is the best option for you. Therefore it is likely going to be more convenient for you to hire a professional moving company for your move. If hiring a professional international moving company will let you avoid the stress of organizing your move to another country, then Intlmovers you also help you avoid the stress of finding the right moving company to help you with your plans. When you search the internet, you will be able to find hundreds of listings for moving companies. To simplify the process of finding the right one that can help you specifically, Intlmovers provides you with a free moving quote comparison service. To emigrate to Australia, there are several options for workers and students. Allows approved skilled workers to work for a particular period of time in work requested fields of occupation in Australia. Sponsorship for skilled workers to work in requested fields of occupation in Australia. Allows professionals and other skilled workers who are not sponsored by an employer to work in Australia. Allows business people to come to Adelaide for short term business visits. Doctors can apply for an employment either for temporary or permanent visa. If you are seeking a permanent residency status as a doctor, you have to obtain a full medical registration. As a nurse you can work or gain additional skills in Australia. For each option there is a visa which suits you. This is a special visa that allows people to work in Australia if they are participating in professional, social or cultural activities. Intlmovers is made for people who do not want to waste time searching for a moving company online. Using this free service, you will have the chance to request up to 6 obligation free quotes and to compare them at your leisure, when you are relaxed at home.